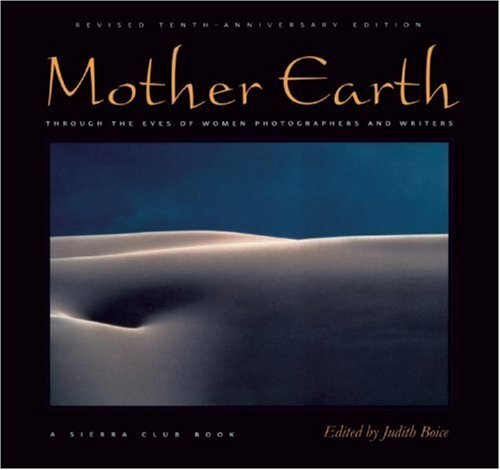 With more than seventy brilliant color photographs and accompanying rich text, Mother Earth combines the work of some of the world's most talented women photographers with the poetry and prose of eminent women writers to present a unique perspective on our planet. Divided into five sections, the book celebrates Earth's distinct yet interwoven realms: animal, mineral, plant, human, and oneness, the realm where all inexorably meet. In each section, an introductory essay or story is followed by pairings of images and quotes, which together reveal Mother Earth's tenderness and power, playfulness and intensity, intimate detail and vast breadth, inspiring readers to look afresh at her fragile yet powerful beauty and the interconnectedness of all life. Judith Boice is a writer, photographer, naturopathic physician, and acupuncturist. She is the author of five books, including At One With All Life, The Art of Daily Activism, and The Pocket Guide to Naturopathic Medicine. Dr. Boice lives with her twin sons in Montrose, Colorado.